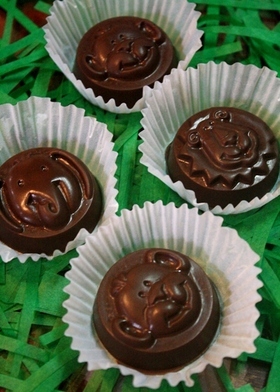 Contains 1-Piece Chocolate Oreo Cookie in assorted zoo animal designs. 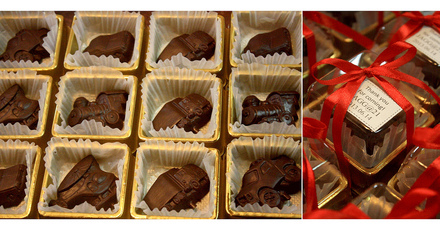 Also available in Peanut Butter cookie flavor. 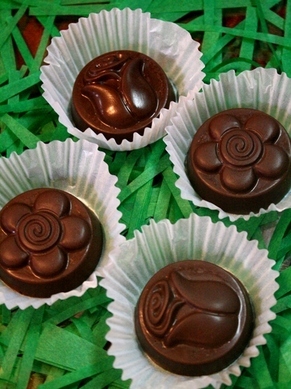 Contains 1-Piece Chocolate Oreo Cookie in assorted floral designs. Also available in Peanut Butter cookie flavor. 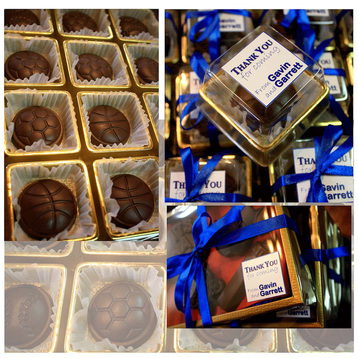 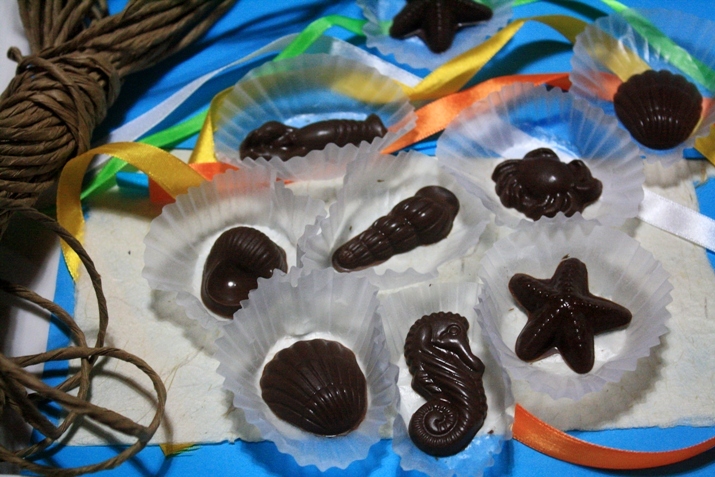 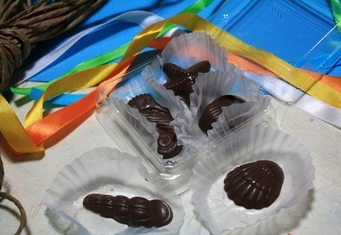 Includes 3 or 4 pieces assorted seashells and beach-theme chocolate designs. 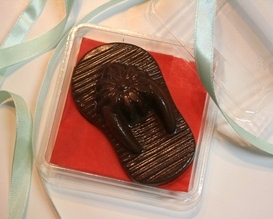 1 Large Chocolate Flip-Flop in case. 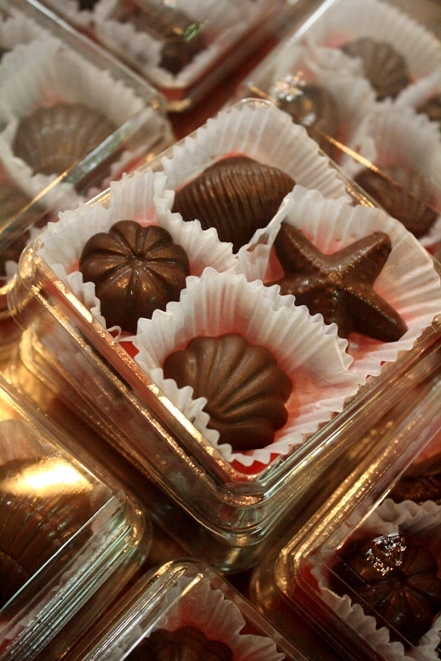 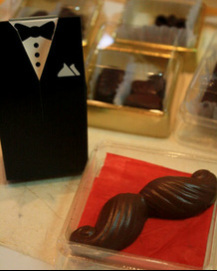 Comes in packs of 2 for P50, or box of 17 for P250. 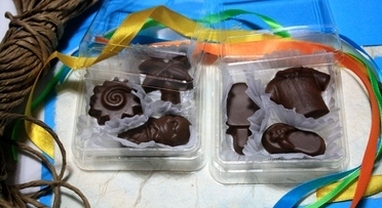 Contains 3 designs: Princess, Carriage, Castle. 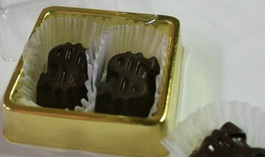 Contains 2 Pieces Playing Card Chocolates: Ace of Spade, Heart, Club, and Diamond.